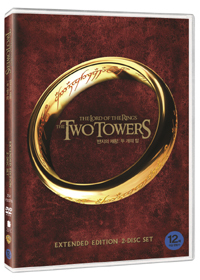 The Lord of the Rings: The Two Towers is a seamless continuation of Peter Jackson's epic fantasy based on the works of J.R.R. Tolkien. After the breaking of the Fellowship, Frodo (Elijah Wood) and Sam (Sean Astin) journey to Mordor to destroy the One Ring of Power with the creature Gollum as their guide. Meanwhile, Aragorn (Viggo Mortensen), Legolas (Orlando Bloom), and Gimli (John Rhys-Davies) join in the defense of the people of Rohan, who are the first target in the eradication of the race of Men by the renegade wizard Saruman (Christopher Lee) and the dark lord Sauron. Fantastic creatures, astounding visual effects, and a climactic battle at the fortress of Helm's Deep make The Two Towers a worthy successor to The Fellowship of the Ring, grander in scale but retaining the story's emotional intimacy. These two films are perhaps the greatest fantasy films ever made, but they're merely a prelude to the cataclysmic events of The Return of the King.